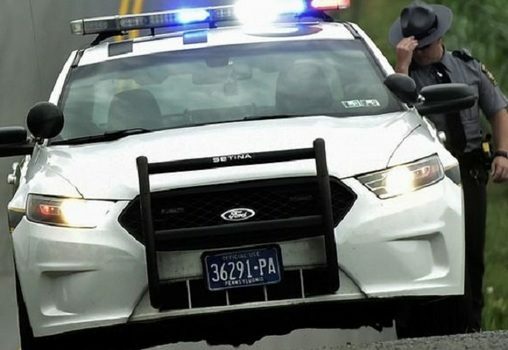 HARRISBURG, PA (WSKG) — Pennsylvania lawmakers are trying to figure out a better way to pay for state police. Most of the department’s annual budget comes from the commonwealth’s Motor License Fund, which is supposed to pay for roads and bridges. Lawmakers agree that system needs to change. But despite repeated efforts, the issue hasn’t budged much in years. Motor License money has long been routed to the state police under the logic that its constitutional purpose includes the safety of public roads and bridges. But municipalities without their own police departments have increasingly leaned on troopers for routine law enforcement–and that’s expensive. Pennsylvania has over 2,500 municipalities, and almost 1,300 of those rely on the state police for all their law enforcement needs. 400 more use part-time state police coverage, according to the department. That coverage goes to predominantly rural areas, which encompass about 20 percent of the commonwealth’s total population, but 80 percent of its geographic area. It costs state police an average of $240 per person–though that number doesn’t include administrative expenses or support services, like special operations. All told, state police spend an average of about $600 million dollars on municipal law enforcement every year–around half of their entire budget. Last fiscal year, 65 percent of that budget came from the Motor License Fund. The more than $800 million sum constituted 29 percent of all payments made from the fund. That has increased exponentially over the last few decades–largely because police costs have jumped dramatically. In 2002, for instance, only $340 million was taken from the Motor License Fund to pay for police service, but that amount also covered 60 percent of police expenses. Lawmakers acknowledge that the somewhat-slapdash funding system isn’t sustainable. Two years ago, they put a cap on the amount of money the legislature is allowed to take from the Motor License Fund to pay for state police, and put in place a scheme to steadily reduce the appropriation. But a fundamental question remains: how can lawmakers replace that money? Governor Tom Wolf has repeatedly pitched a $25-per-person fee for municipalities that rely on state police. House Democratic Appropriations Chairman Joe Markosek supports the plan–but argued at Tuesday’s hearing on the state police budget that it should actually be higher. “If I were a businessman, and I had some service that I really needed, and the cost of that service was $240 plus, and somebody came along and said ‘I’ll give it to you for $25,’ that would be the fastest check I would ever write,” he said. But GOP House Appropriations Chairman Stan Saylor said rural lawmakers won’t consider Wolf’s plan. That has long been the central conflict in the police funding issue. Rural lawmakers believe they shouldn’t have to pay as much for state police coverage as larger municipalities with higher crime rates. Meanwhile, lawmakers from urban and suburban districts feel rural communities are getting a freebie. Saylor urged lawmakers to support an alternative funding proposal, which he is sponsoring. It would require municipalities with 10,000 residents or more to pay for state police coverage, but smaller ones would be able to continue under the current system. Similar bills–as well as other variations on Saylor and Wolf’s proposals–have repeatedly been introduced by lawmakers in recent years, but none have built up much steam.